View cart “Gnossiennes I – PDF” has been added to your cart. 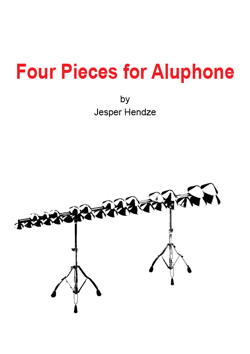 Four Pieces by Jesper Hendze written for Aluphone (Glennie Concert). Free download!! 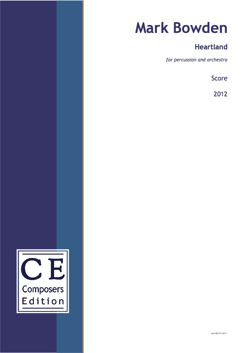 The four pieces Te Deum, Berceuse, Wind Chimes and Ostinato are originally written for carillon and also arranged for piano, entitled Carillon. consisting of three independent pulsations in the relation 5:4:3. 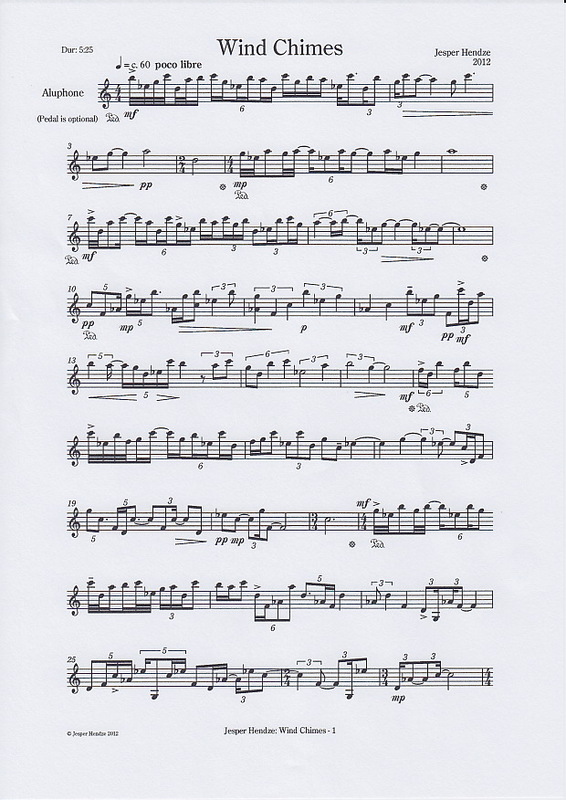 Per Nørgård has used it in a notation with triplets and quintuplets. 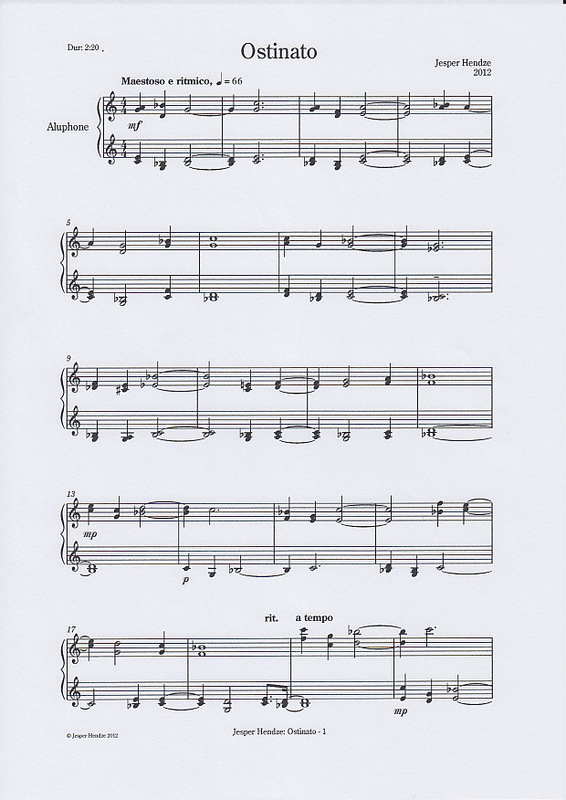 Here it is practically modified to a divisive rhythm – with a deviation in the upper voice, with only four units between the second and the third note. 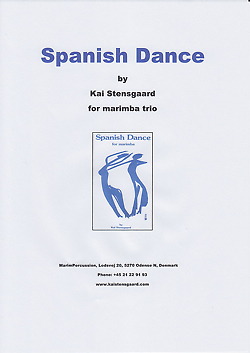 The rhythm has a natural correlation with swinging bells of different weight, and Te Deum takes its beginning from the swinging bells in Danish churches, which are tuned to the first three notes (Mi – Sol – La) from the Ambrosian hymn of the same name. 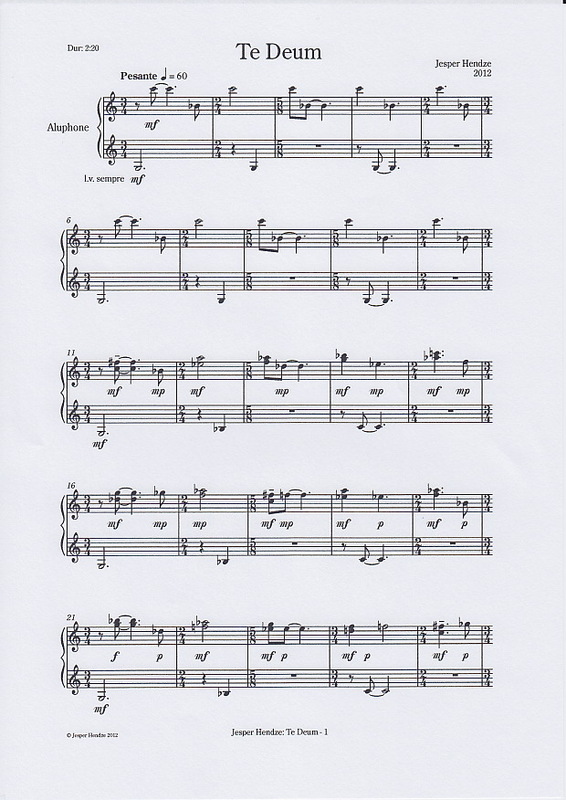 The piece is using up to seven notes from the Te Deum hymn, in three transpositions from the roots of the three layers. row, but used on three-tone cells in 6/16 rhythms. Wind Chimes is inspired by metal rods hitting each other with the movement of the wind (called wind chimes). The rhythms start on the eighth and the twelfth note of the rhythm, where the beats of the three pulsations come one after another, and are used on three-tone cells in different, overlapping and retarding tempos, dependent of ‘weight and wind speed’. Ostinato uses the rhythm (starting from the eighth note) on the pitches from Te Deum in an ostinato figure over six bars, first in the bass, then hidden in the chords. 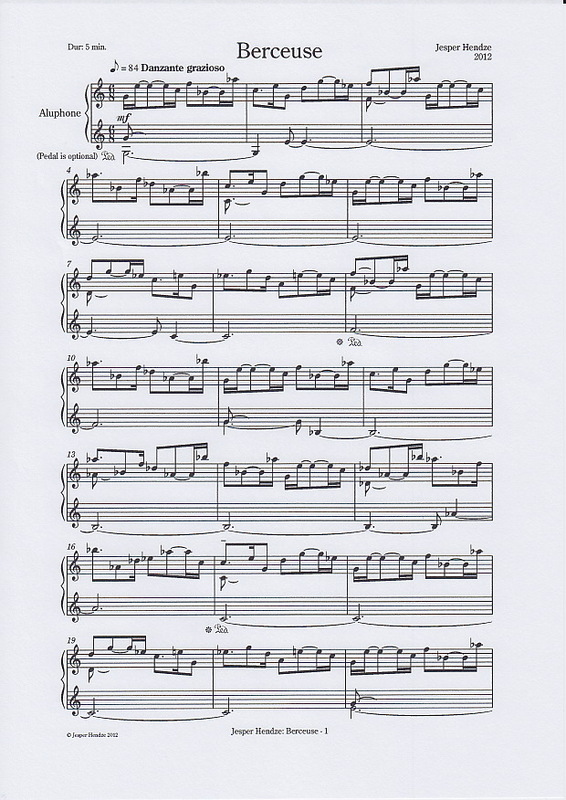 In a twelve bar interlude the ostinato is in higher octaves with canon in the octave below, before the introduction is repeated with a free melodic development. 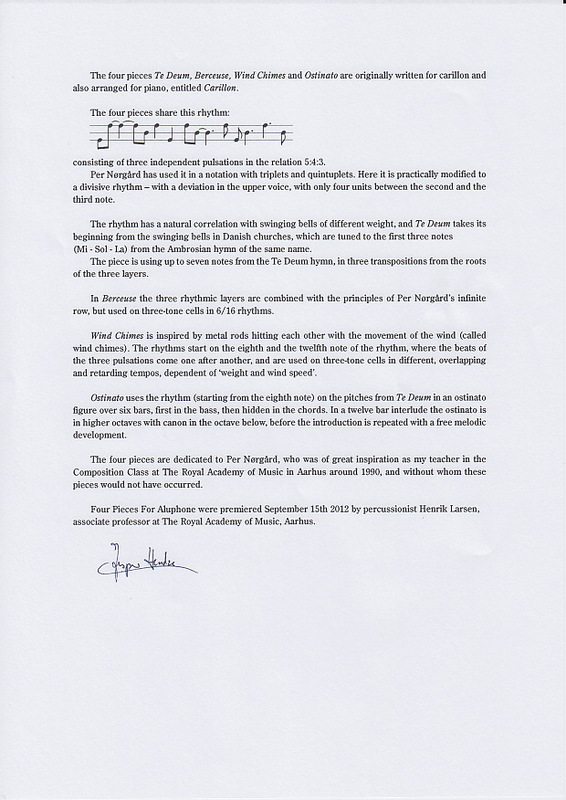 The four pieces are dedicated to Per Nørgård, who was of great inspiration as my teacher in the Composition Class at The Royal Academy of Music in Aarhus around 1990, and without whom these pieces would not have occurred. 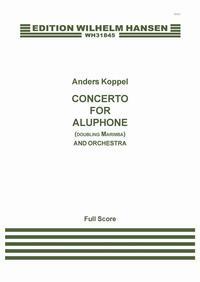 Four Pieces For Aluphone were premiered September 15th 2012 by percussionist Henrik Larsen, associate professor at The Royal Academy of Music, Aarhus.